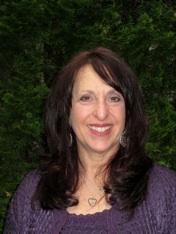 Susan earned her Master of Science degree in Nutrition Education from Drexel University. She is a Registered and Licensed Dietitian, Board Certified Diabetes Educator, Certified Cardiovascular Nutritionist by the American Heart Association, certified teacher in secondary education, and author. Susan’s previous experience includes Instructor of Foods and Nutrition at the University of Maryland, Clinical Nutritionist at the Hospital of the University of Pennsylvania and nutrition educator at Temple University, School of Dentistry. 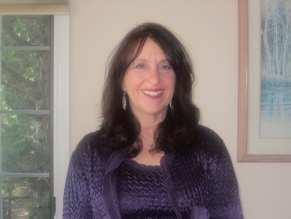 Susan has been in private practice for over twenty five years. Susan specializes in private nutrition counseling for cardiovascular, weight control, diabetes, eating disorders, all medically prescribed diets, and healthy eating throughout all stages of life. Susan believes in order to achieve permanent success in learning how to eat healthy and achieve one’s goal, there must be a lifestyle change. Susan’s approach to teaching integrates knowledge with practical hands-on experience. This provides an enjoyable, educational and self rewarding encounter, that can be used to improve the level of health for you and your family for a lifetime. Susan’s practice is located in Cherry Hill, New Jersey, and she has long standing relationships with many physicians in the Philadelphia and southern New Jersey area. Please call directly to schedule an initial consultation. *Horizon Blue Cross/Blue Shield of N.J.
Diets don’t work. Lifestyle change does. Are you ready to make the commitment?